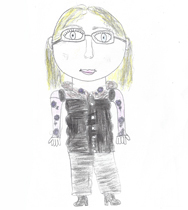 I am Mrs Whalley and I teach Year 6 for four days of the week. 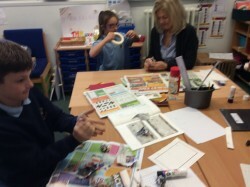 I am also Deputy Head, Key Stage 2 Lead, Maths Lead and share the RE lead. 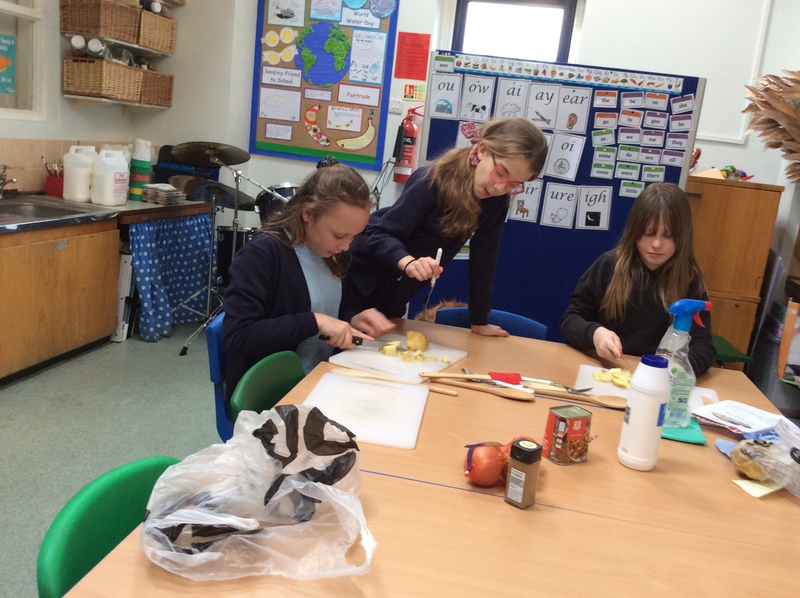 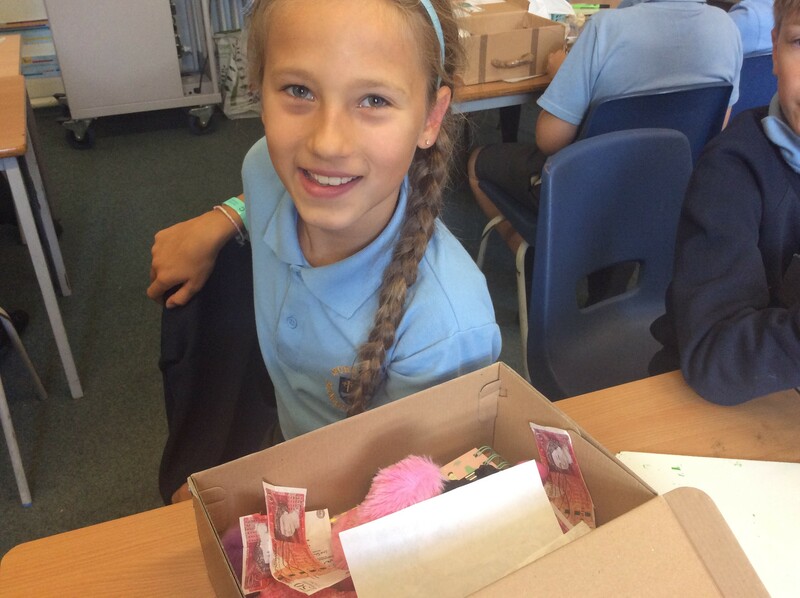 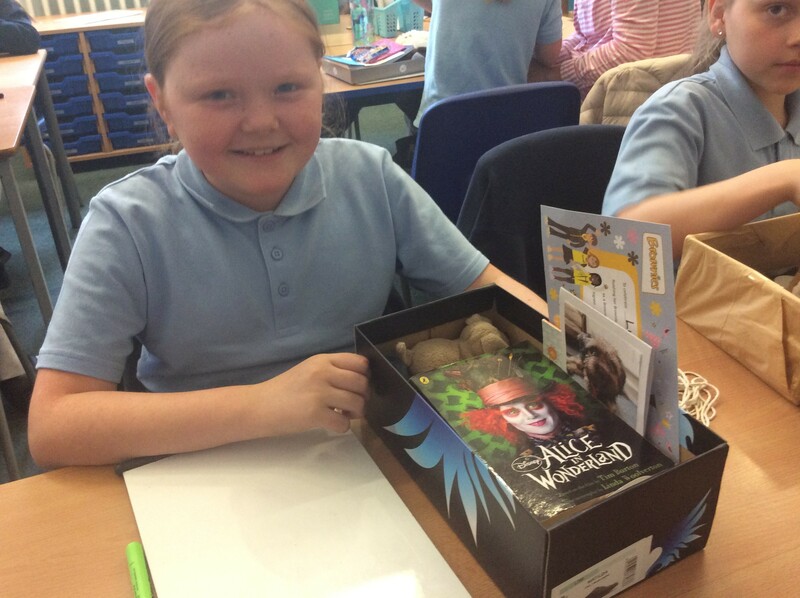 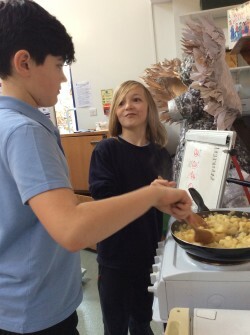 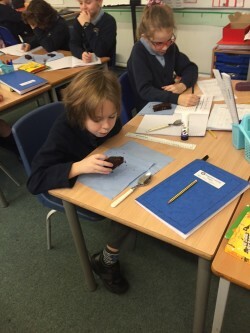 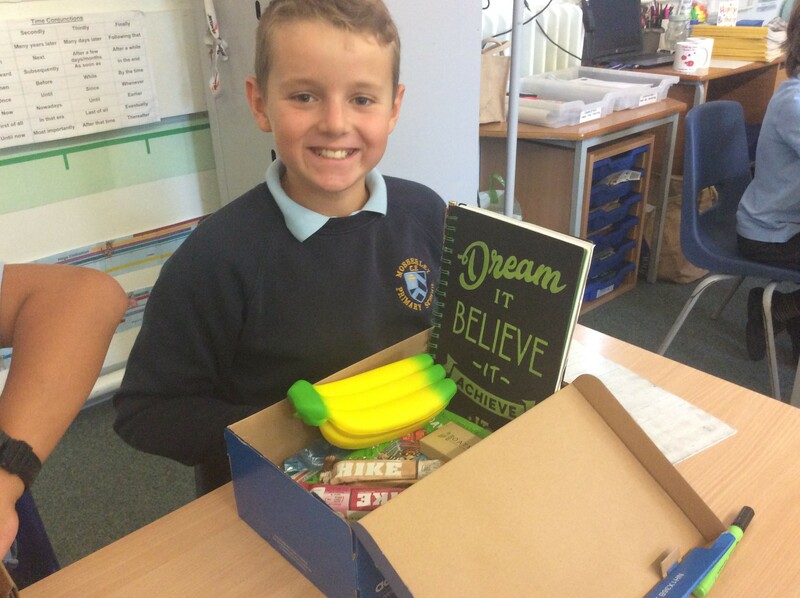 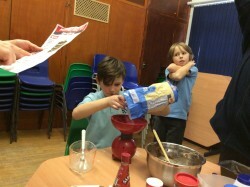 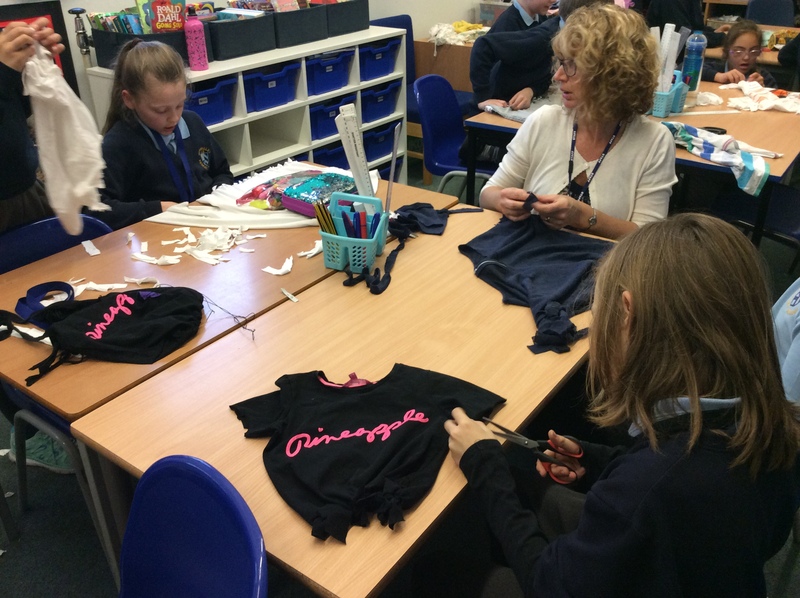 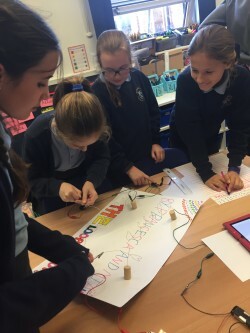 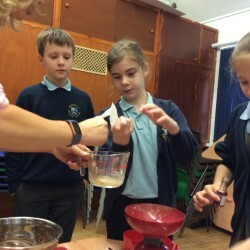 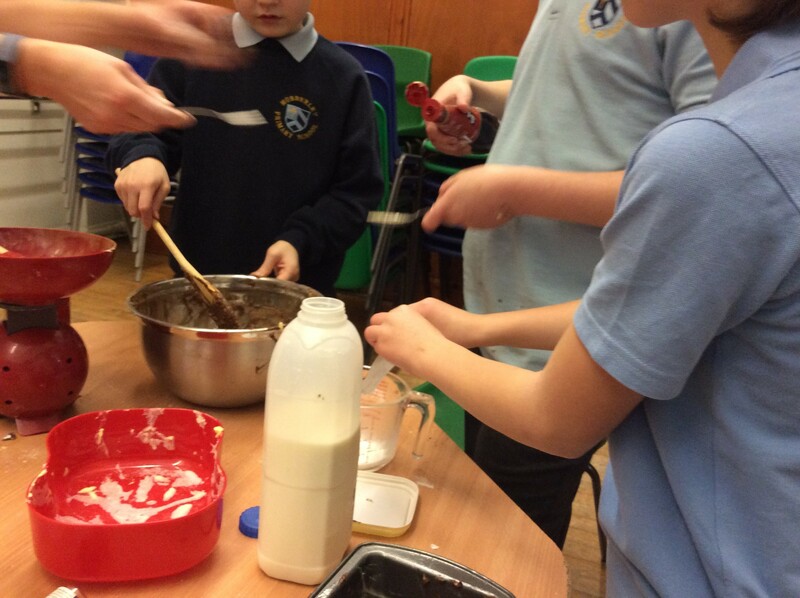 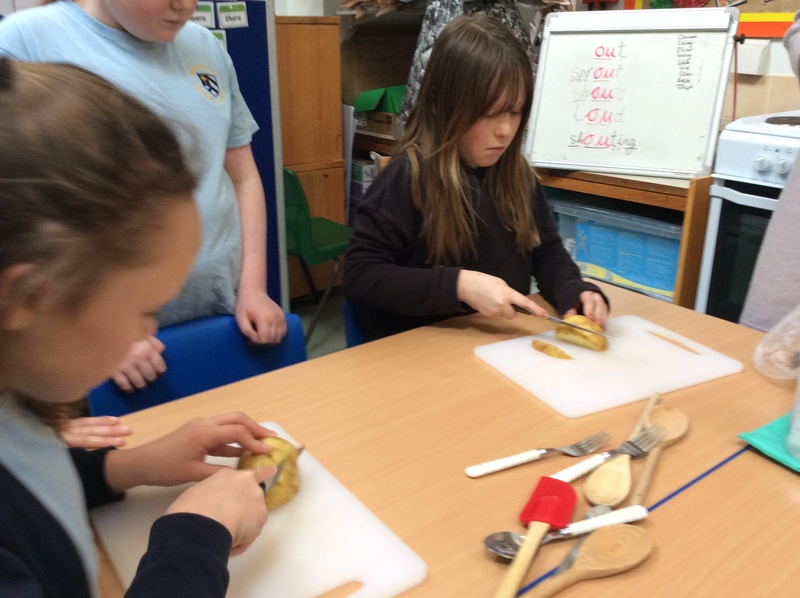 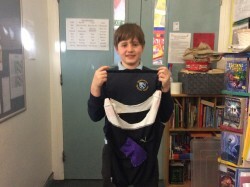 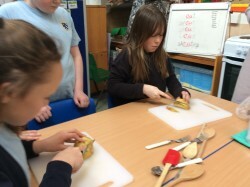 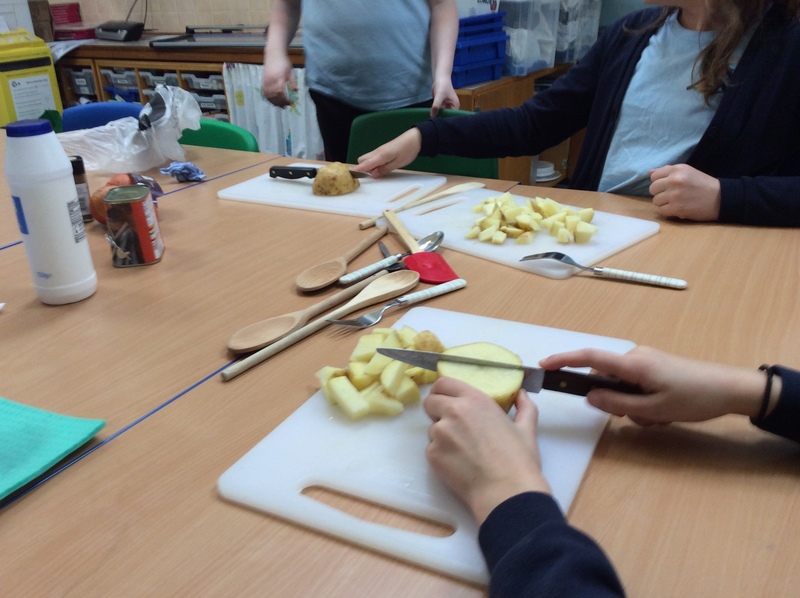 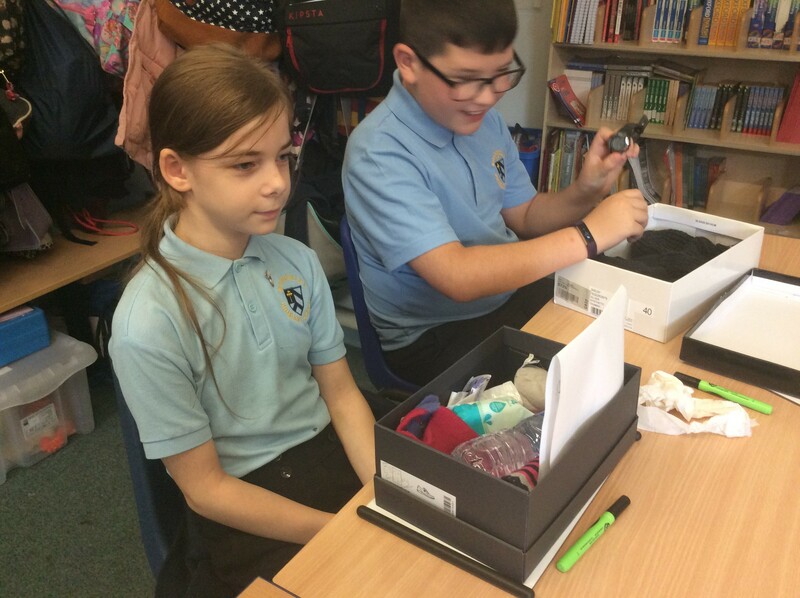 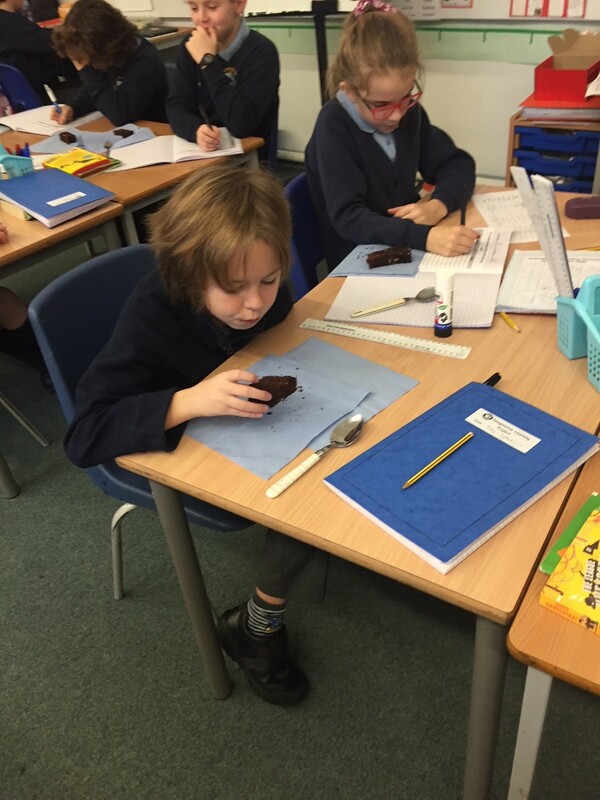 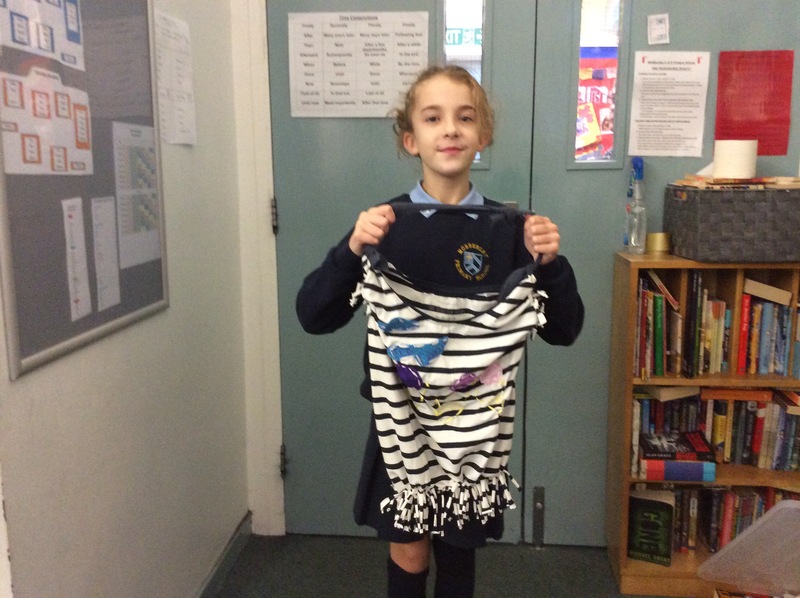 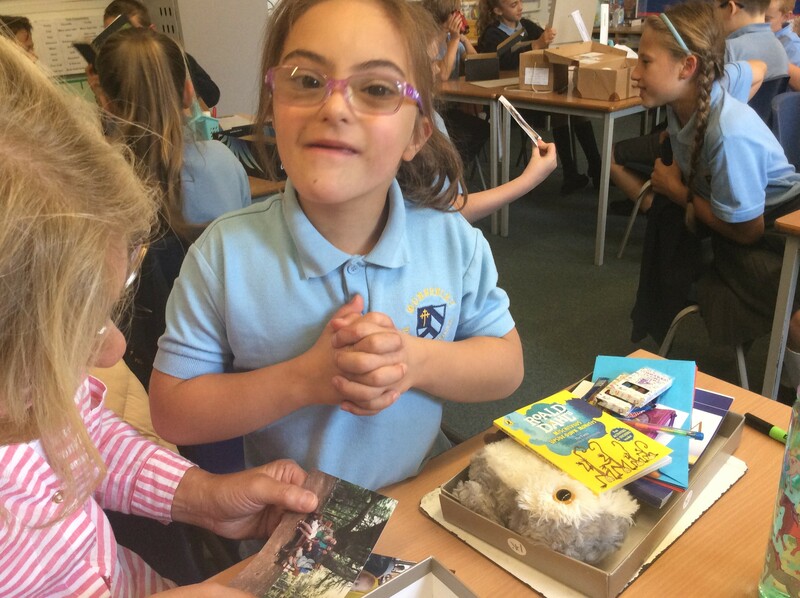 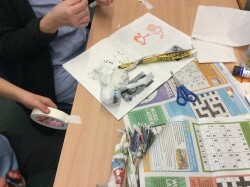 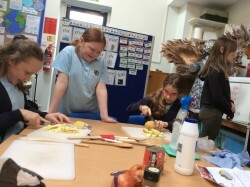 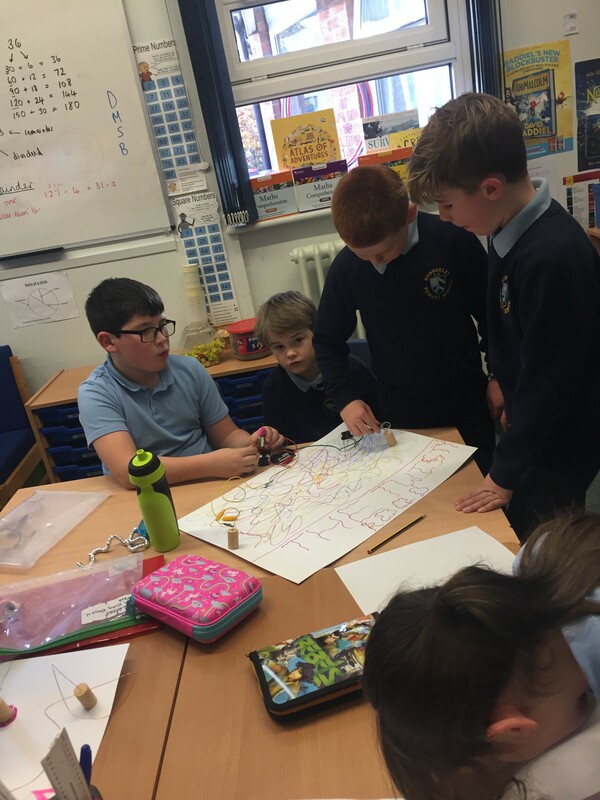 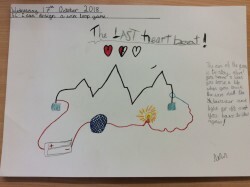 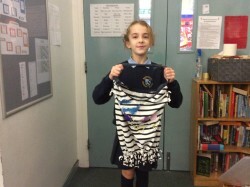 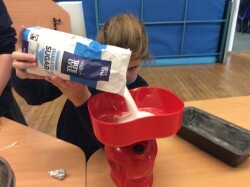 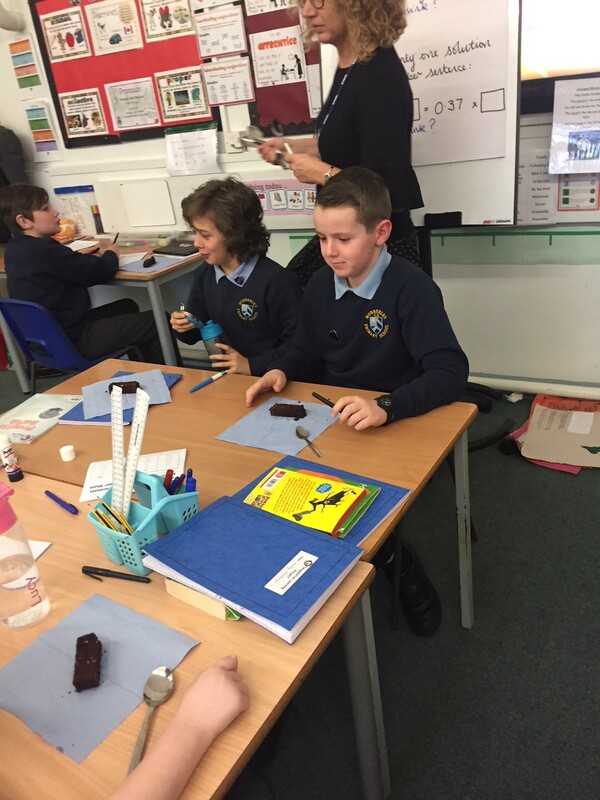 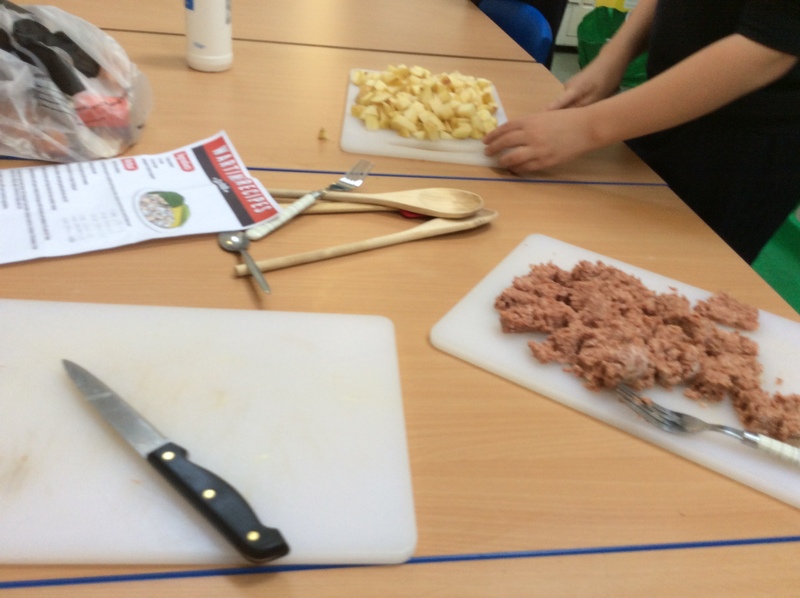 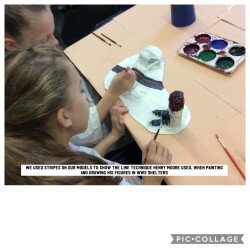 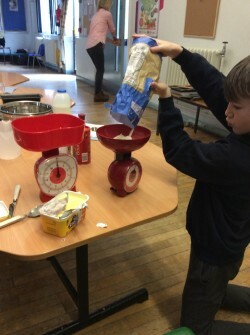 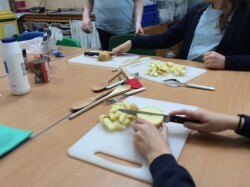 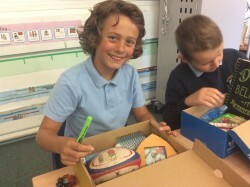 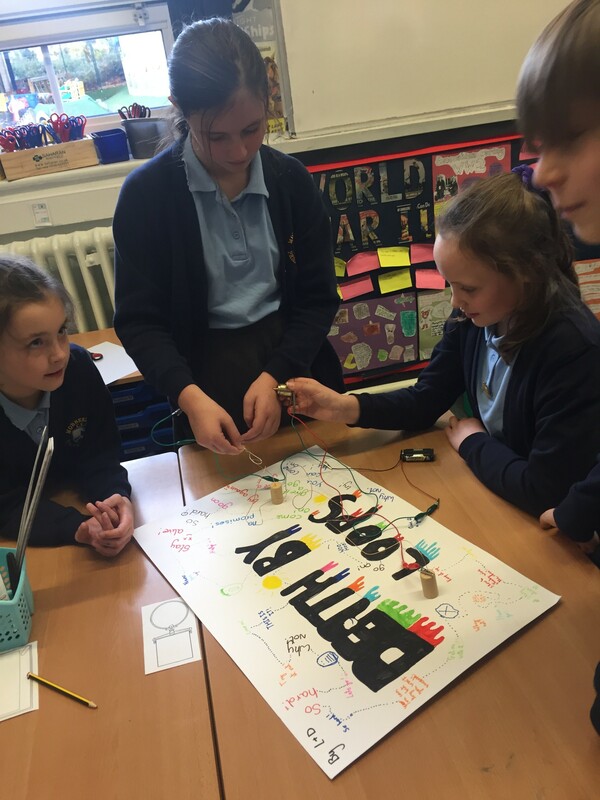 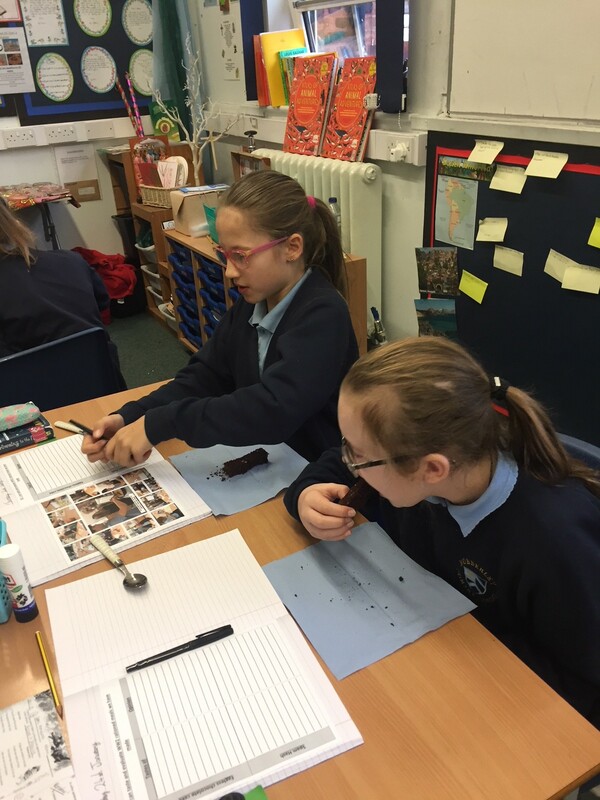 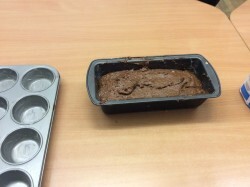 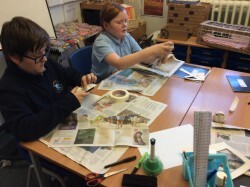 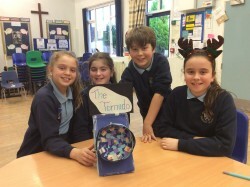 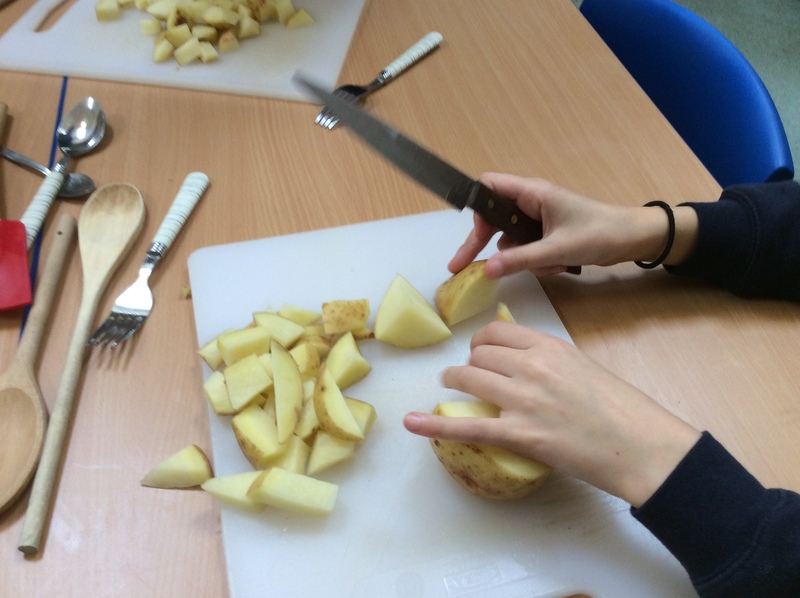 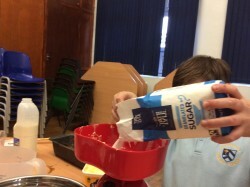 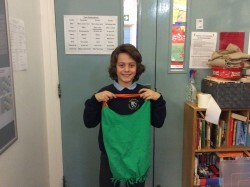 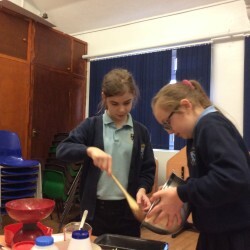 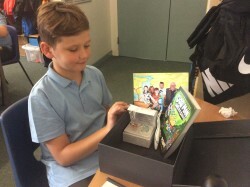 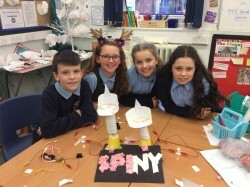 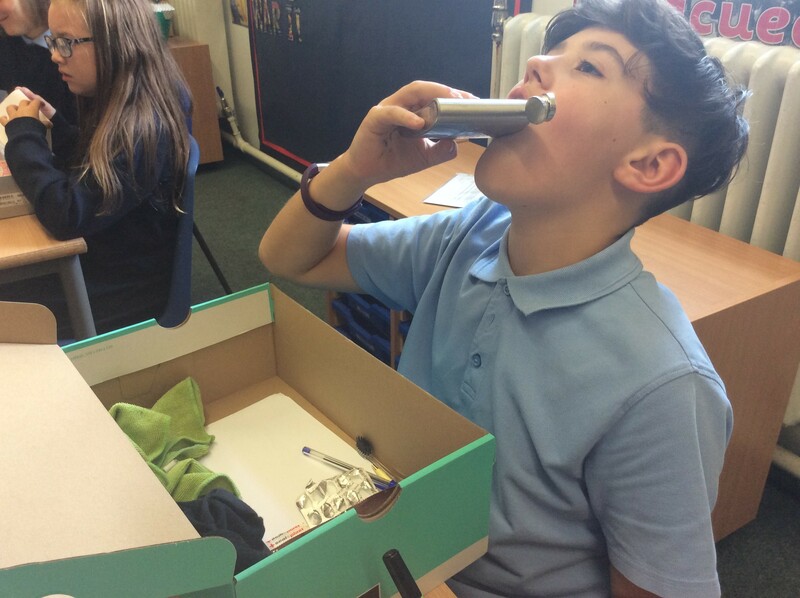 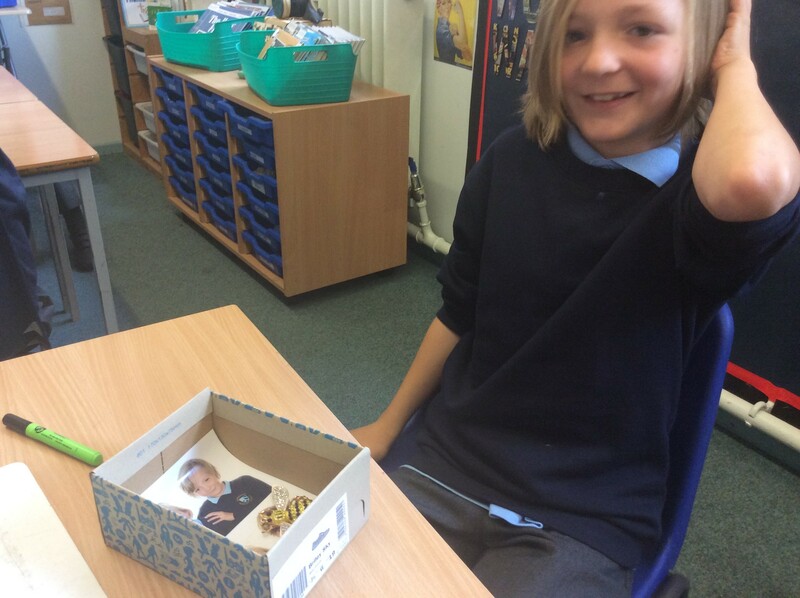 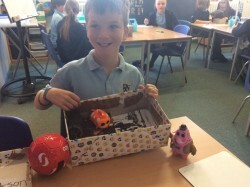 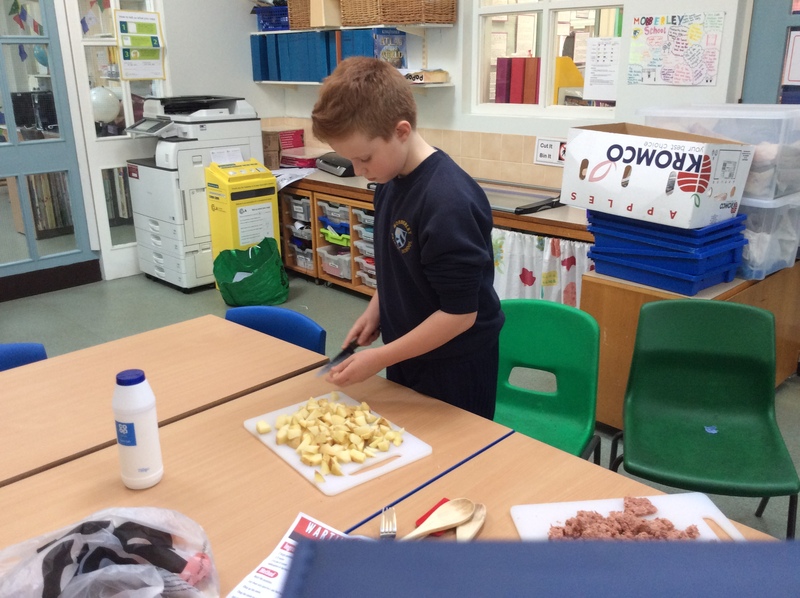 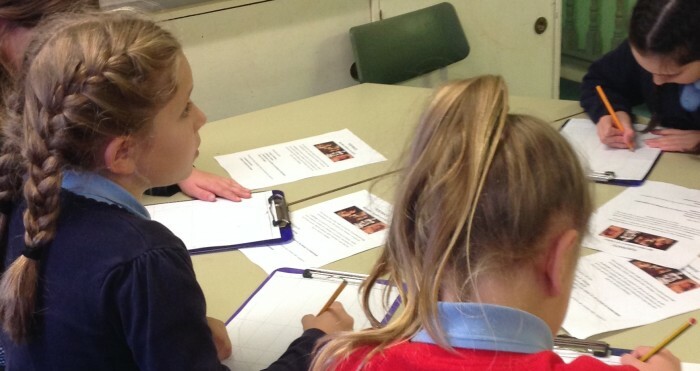 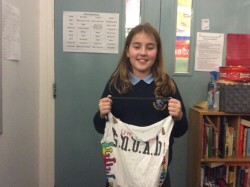 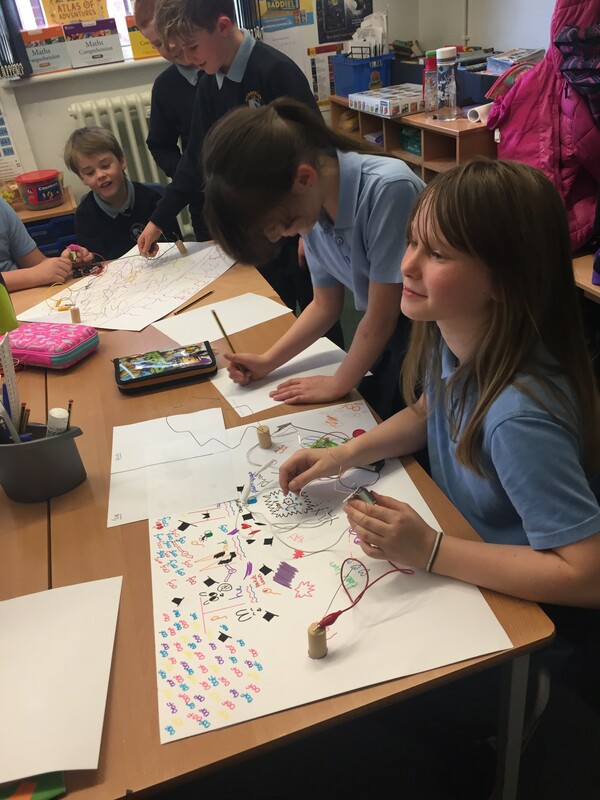 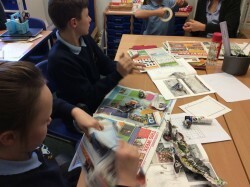 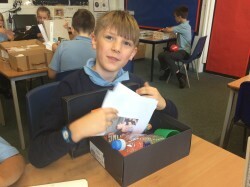 On Tuesdays, Mrs Kozyra, who shares the lead of RE teaches Year 6 RE and SPAG and runs ‘The Young Leaders Award’ in school with Year 6, which is a unique active citizenship programme which empowers young people to make a difference in their local community whilst growing in key leadership skills at the same time. 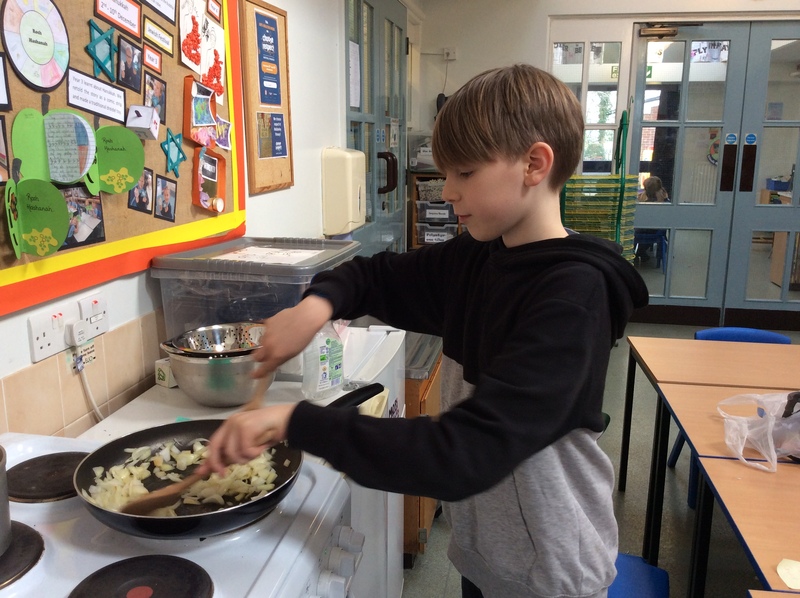 We are really looking forward to this term and all the exciting things to come – please click here to read our spring term overview. 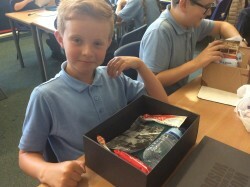 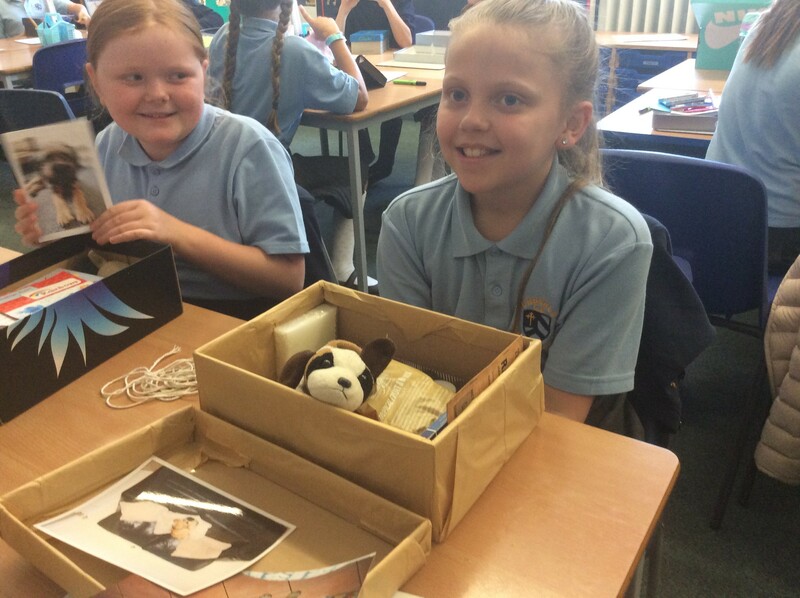 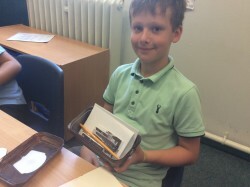 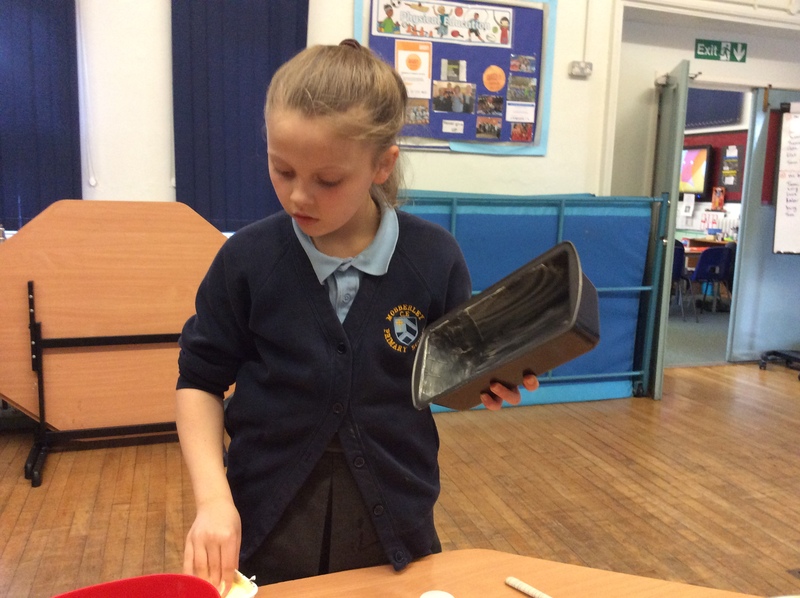 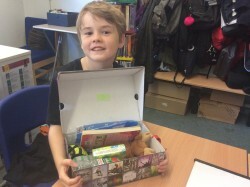 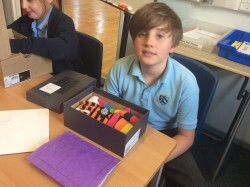 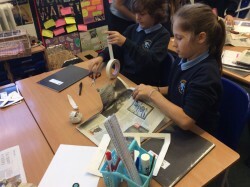 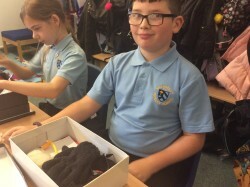 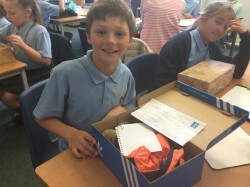 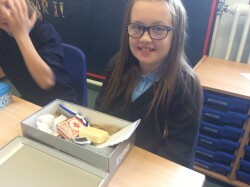 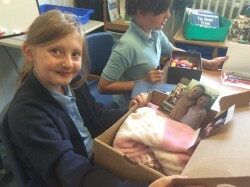 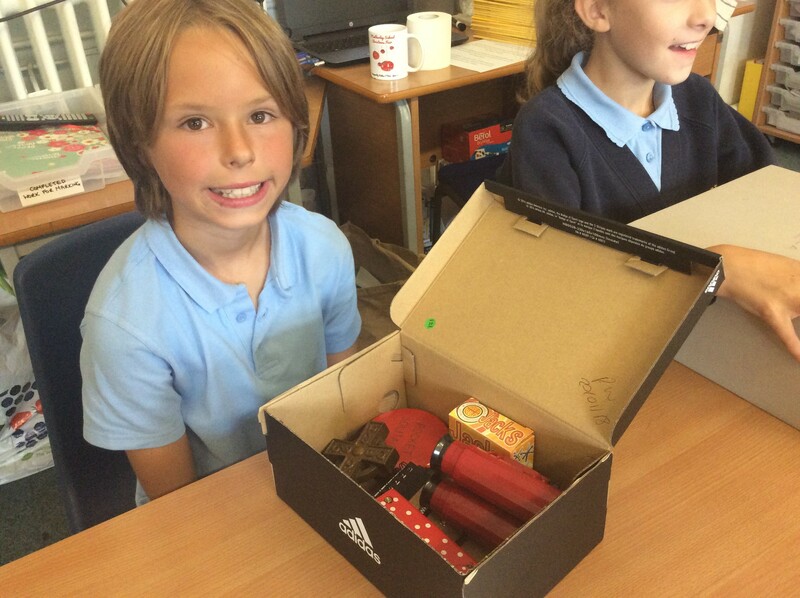 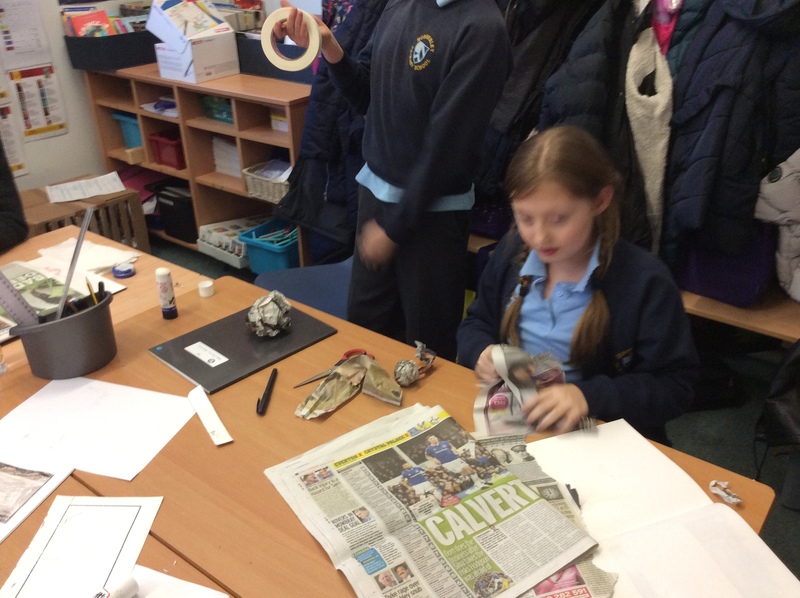 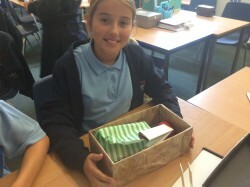 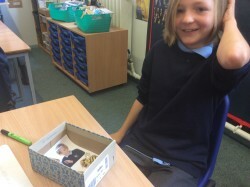 In ‘History’, we began our topic on WW2 by creating boxes, containing things we thought we couldn’t live without, if we were sent away like evacuees. 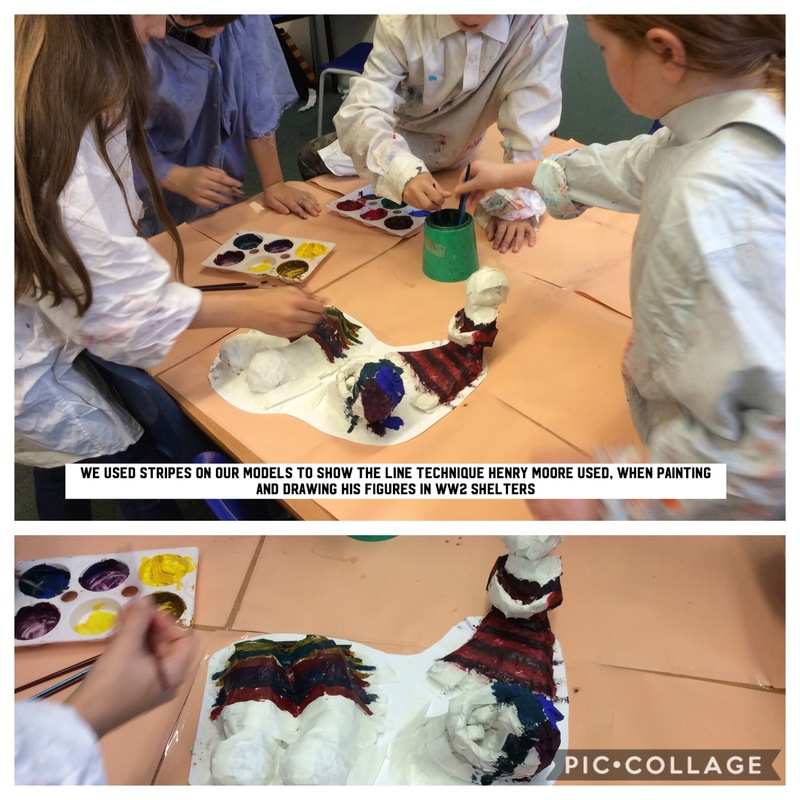 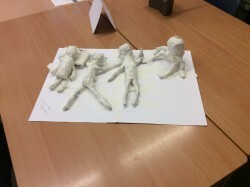 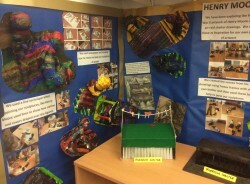 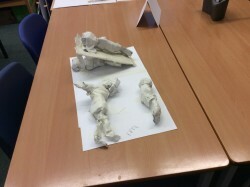 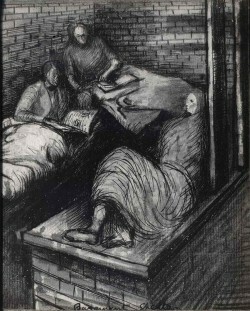 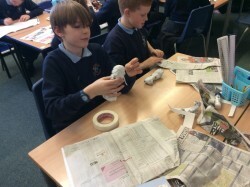 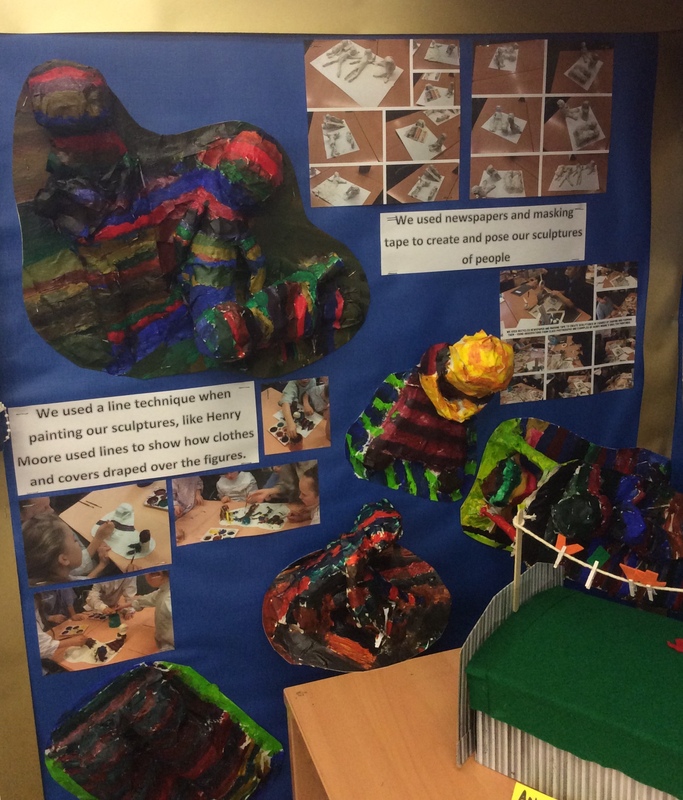 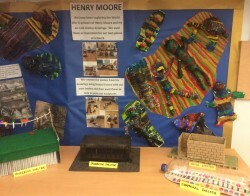 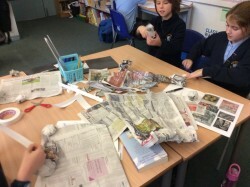 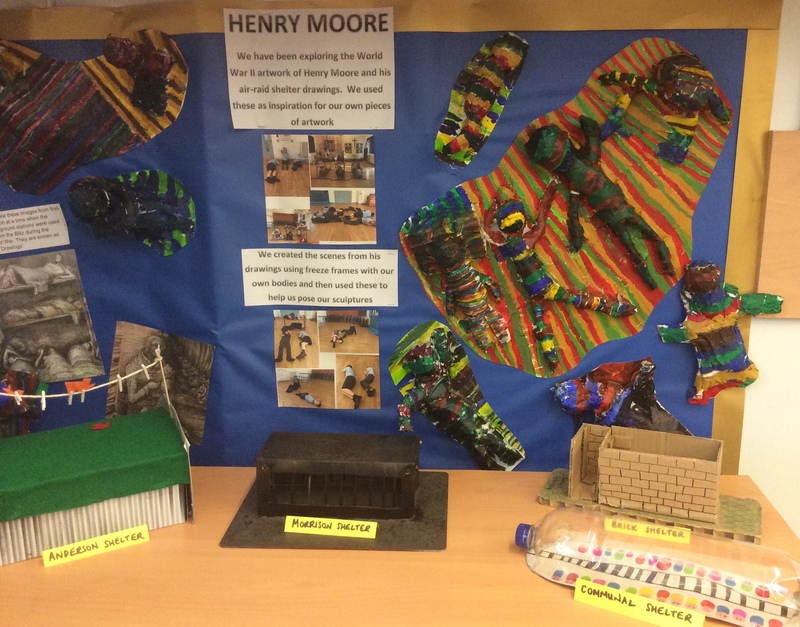 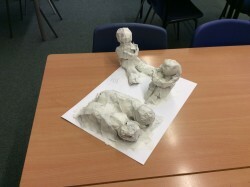 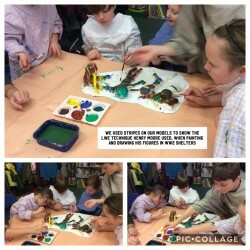 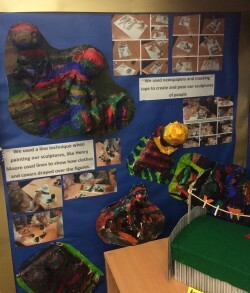 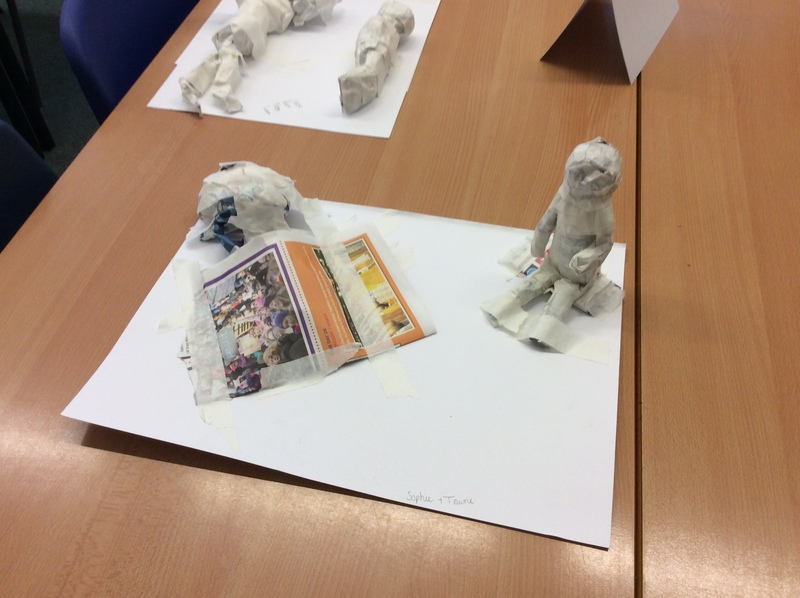 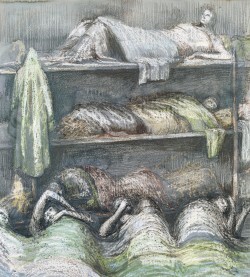 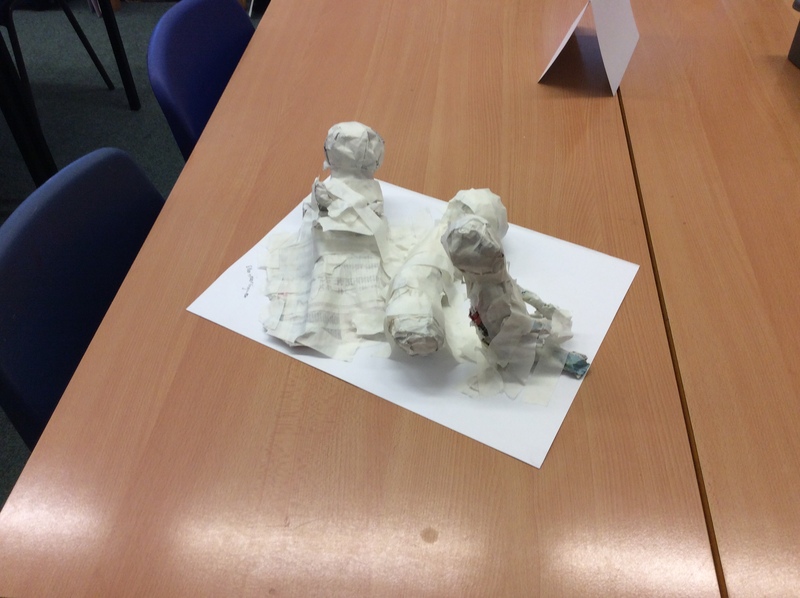 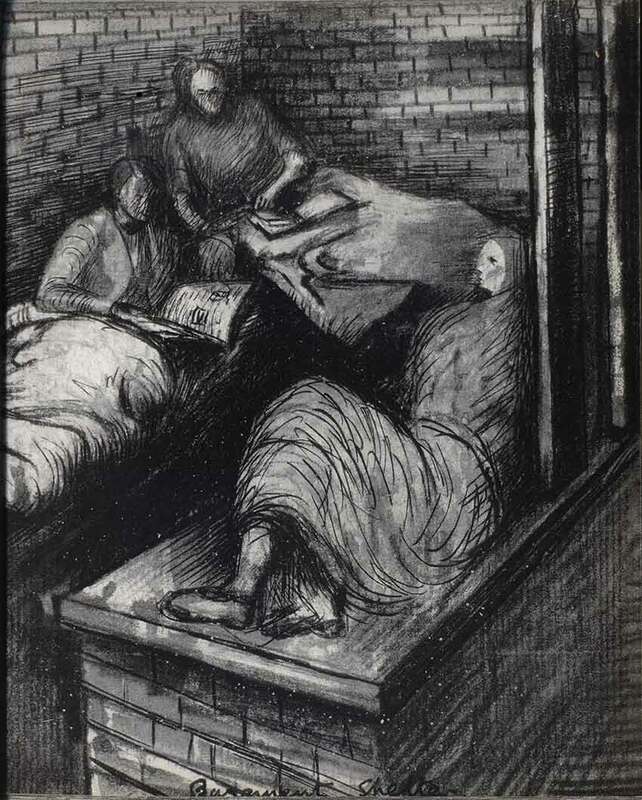 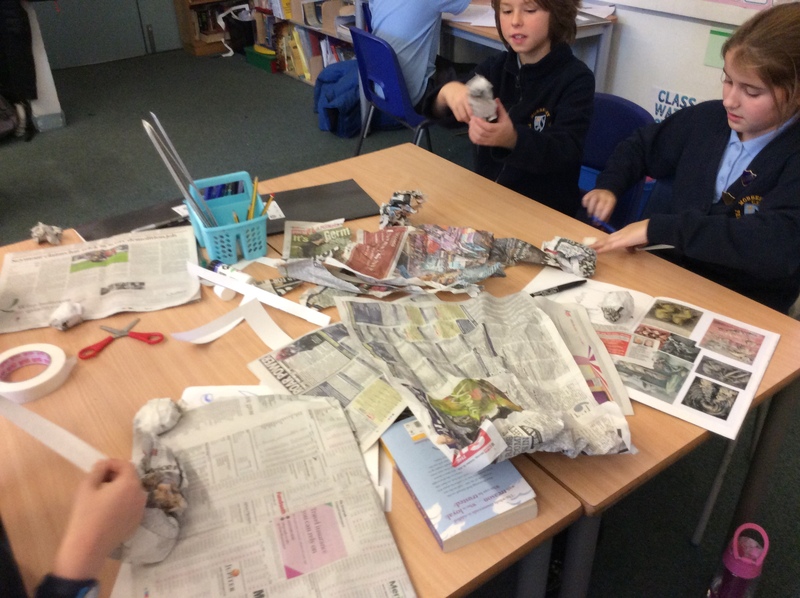 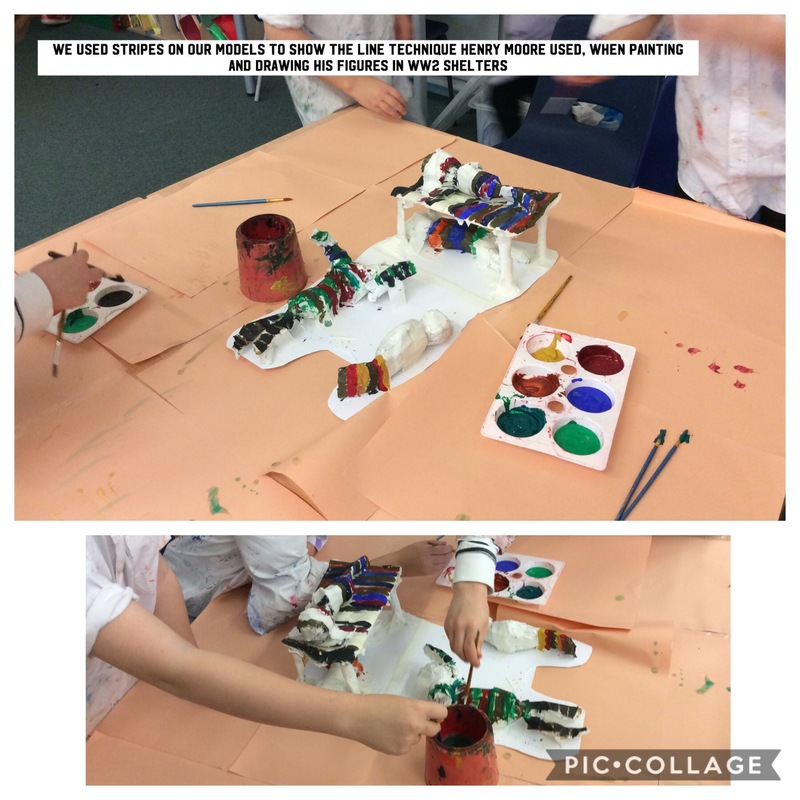 We explored Henry Moore’s Air-Raid shelter drawings and created 3D models in the style of his art work. 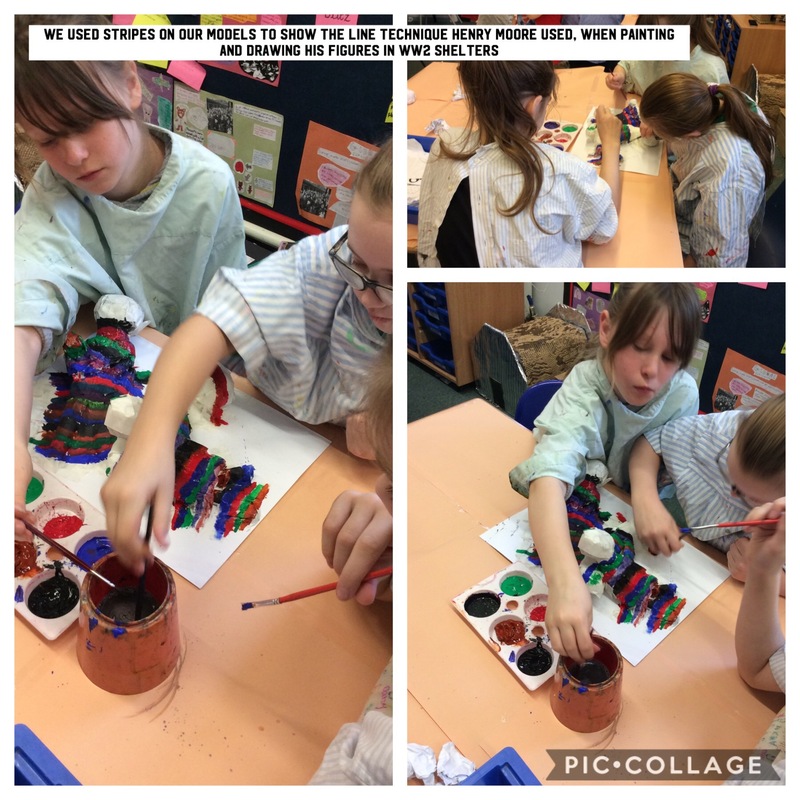 We then painted them in the style of Henry Moore’s line drawings – using stripes. 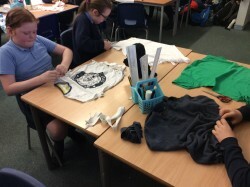 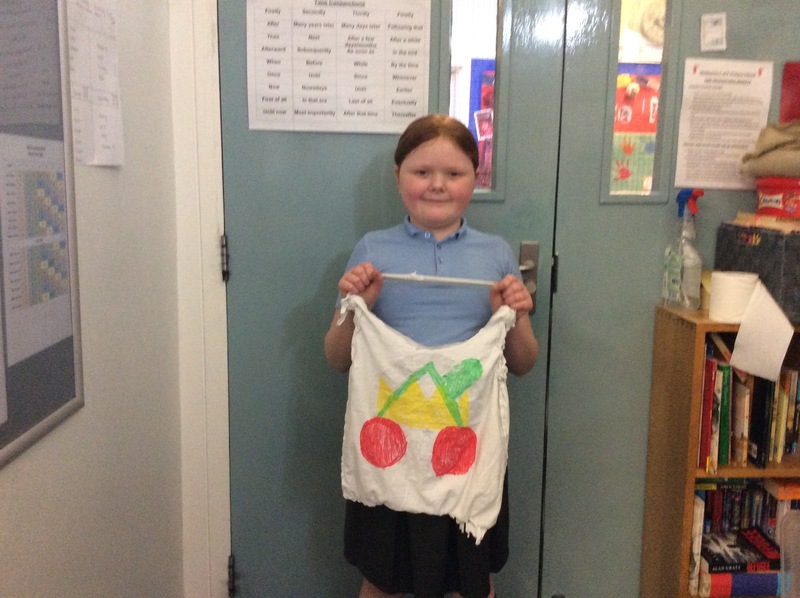 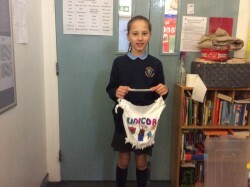 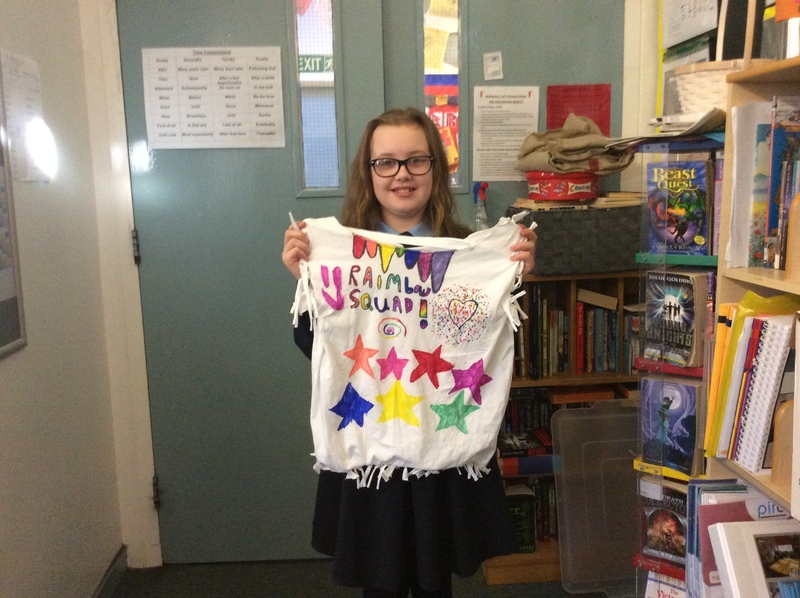 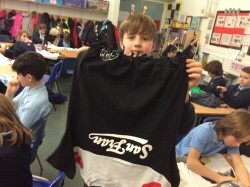 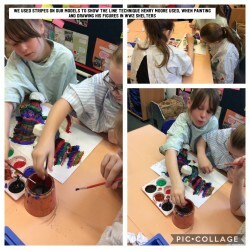 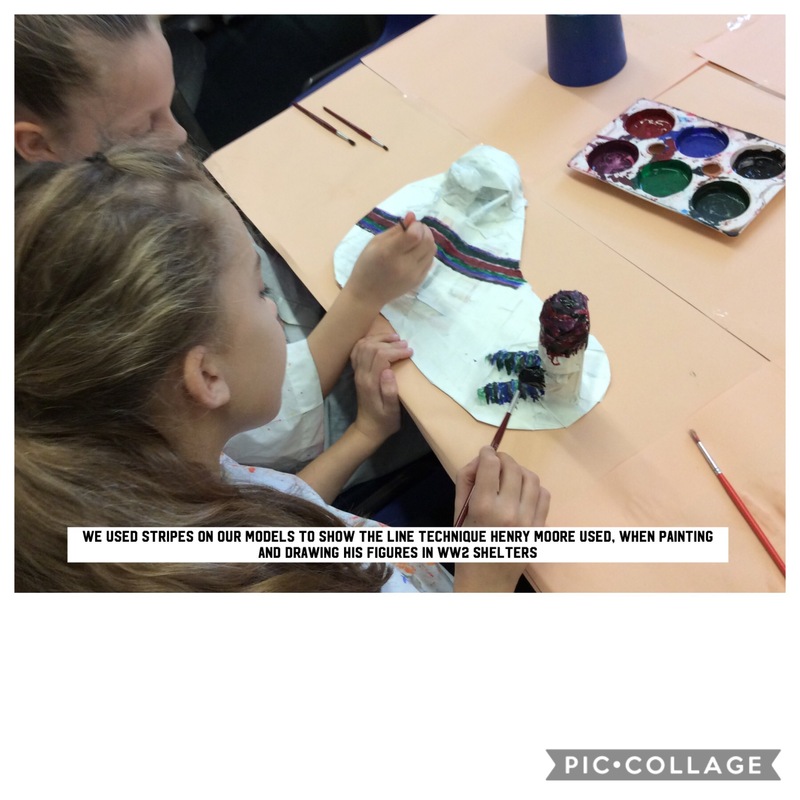 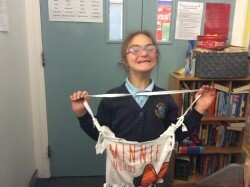 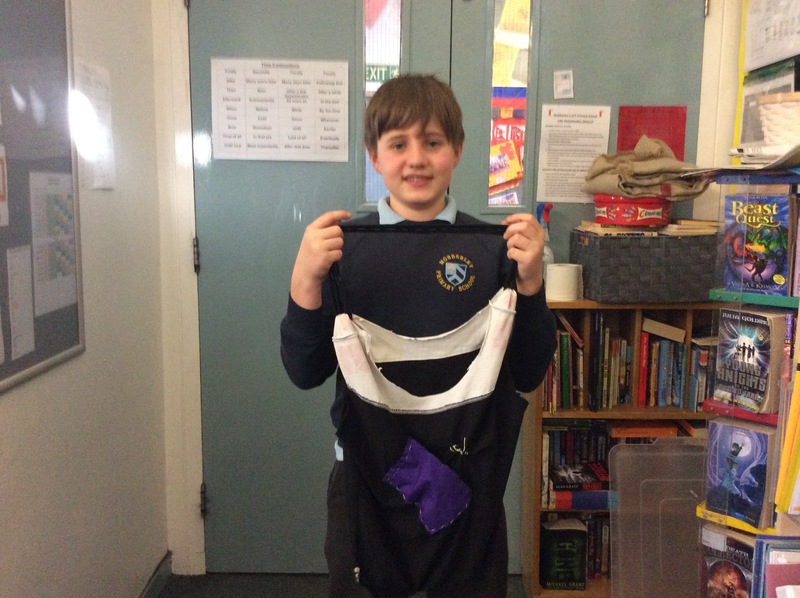 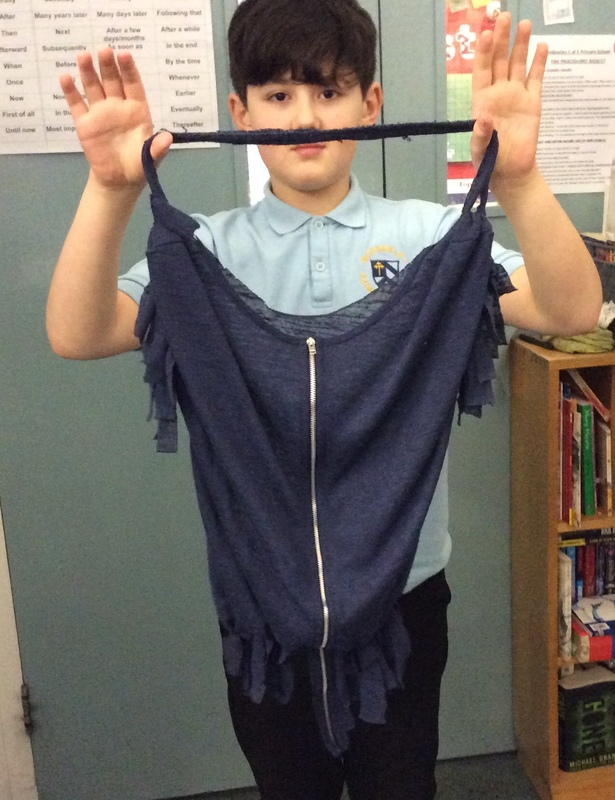 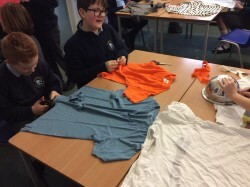 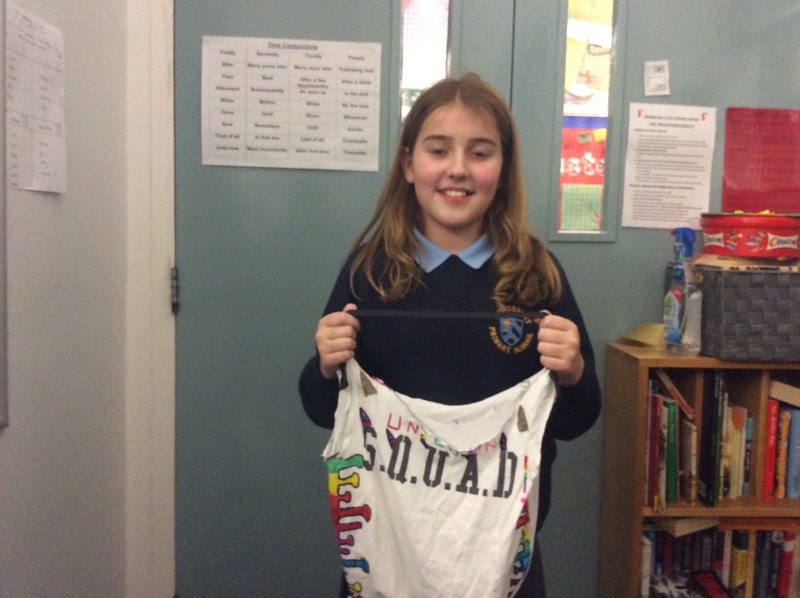 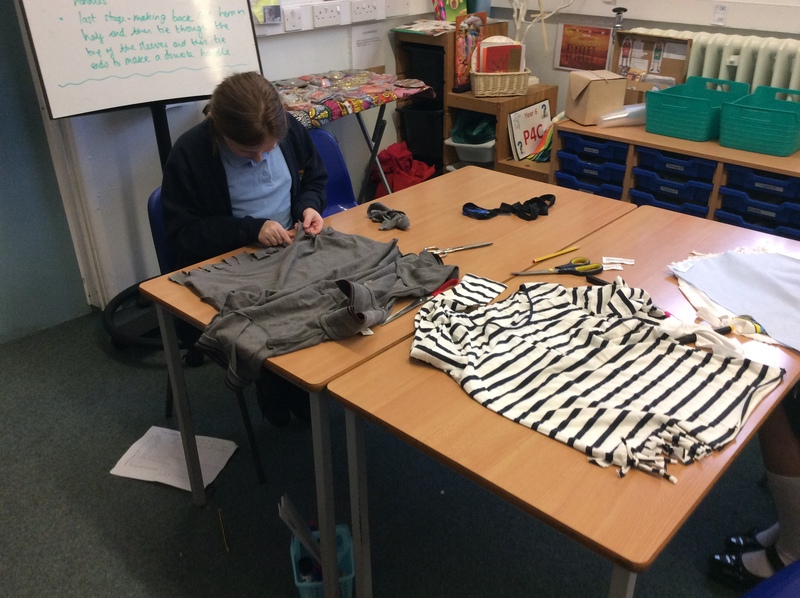 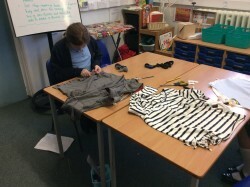 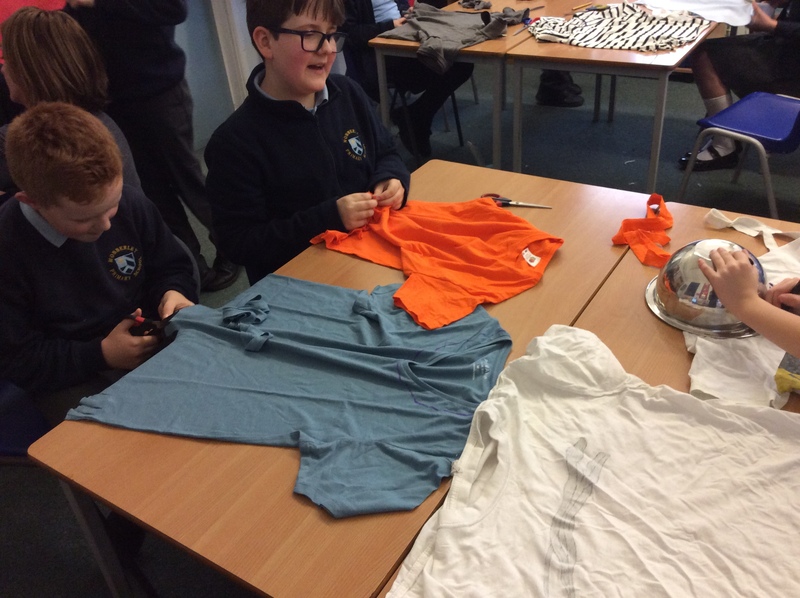 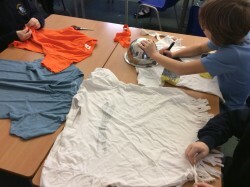 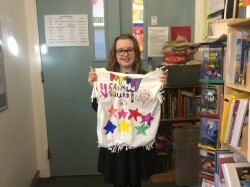 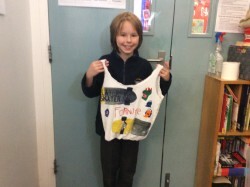 We researched rationing during WW2 and in the style of ‘Make-do-and-Mend’ made our own bags using old T-shirts and old material. 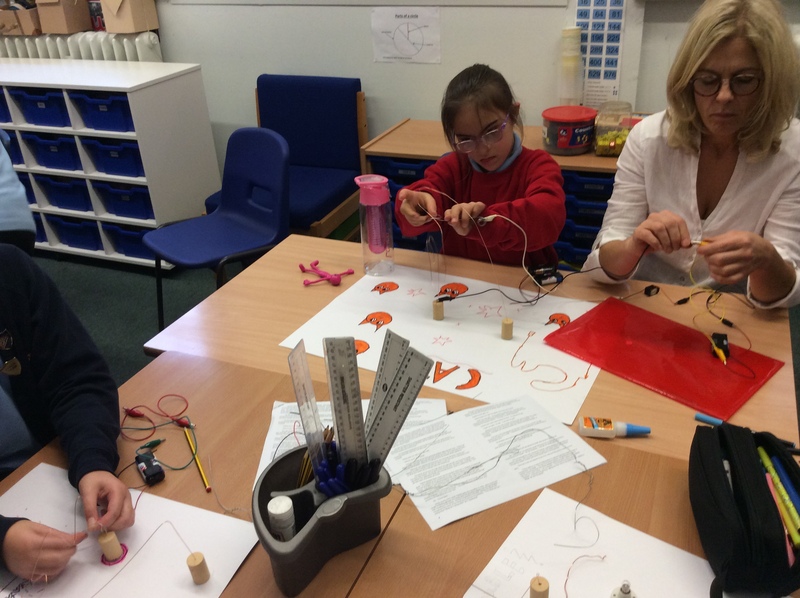 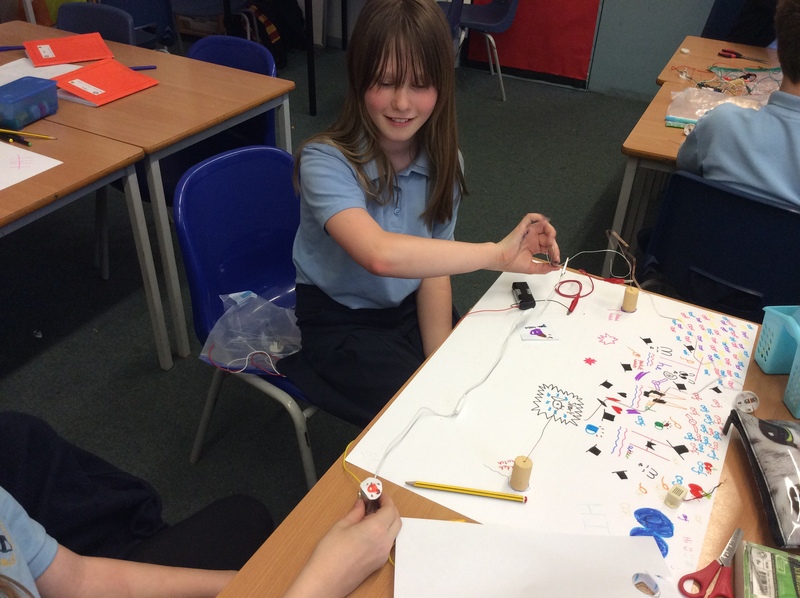 We experimented making different circuits. 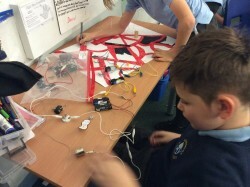 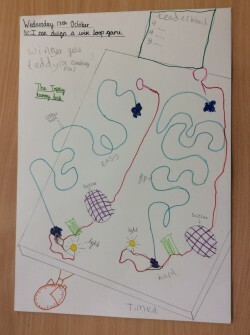 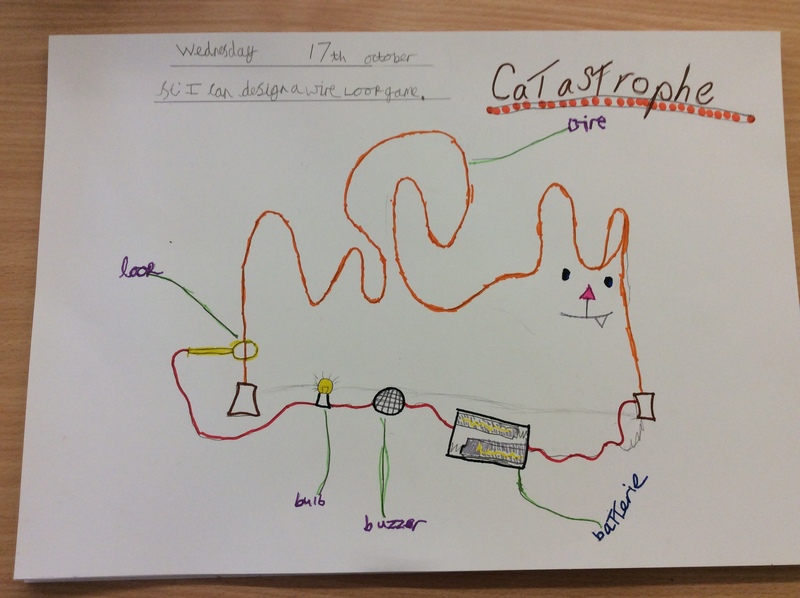 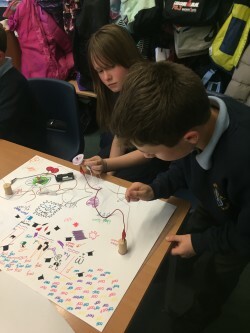 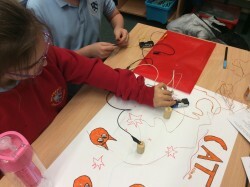 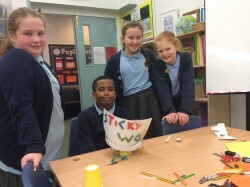 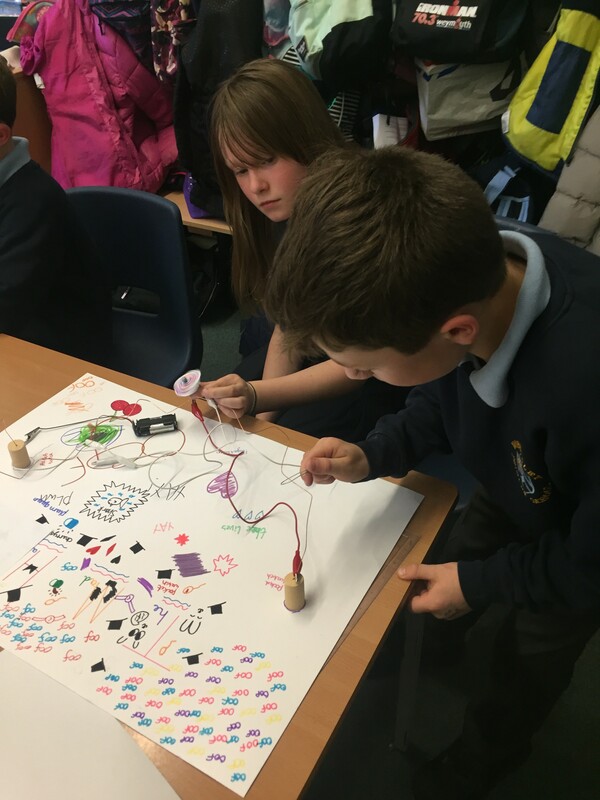 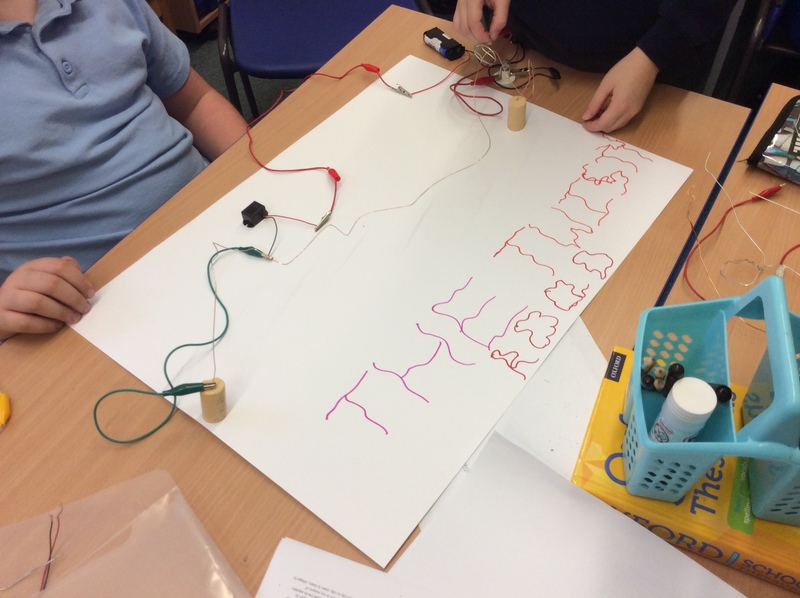 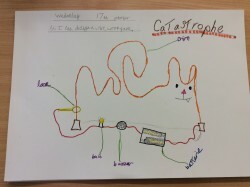 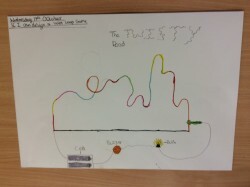 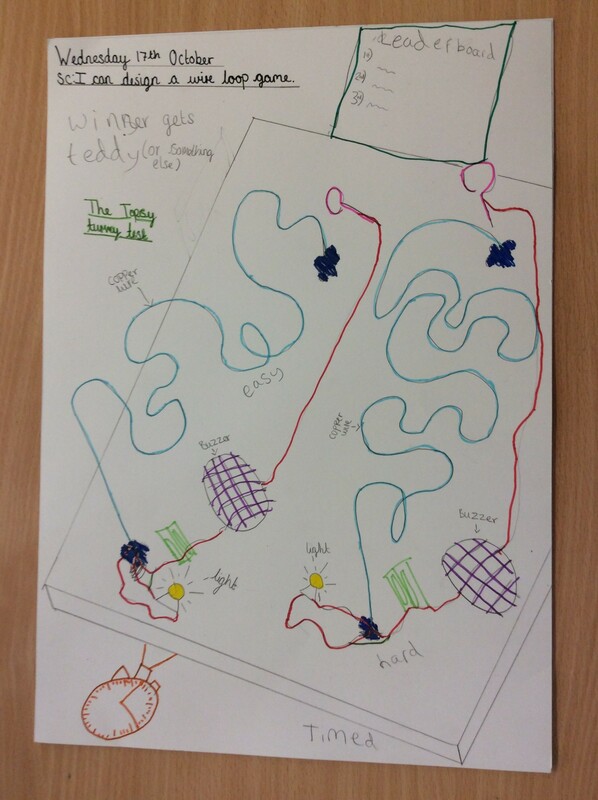 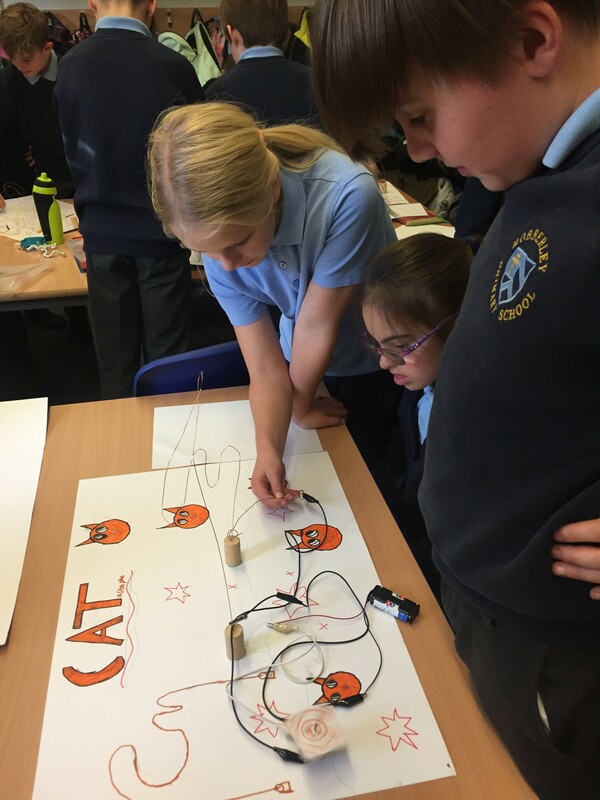 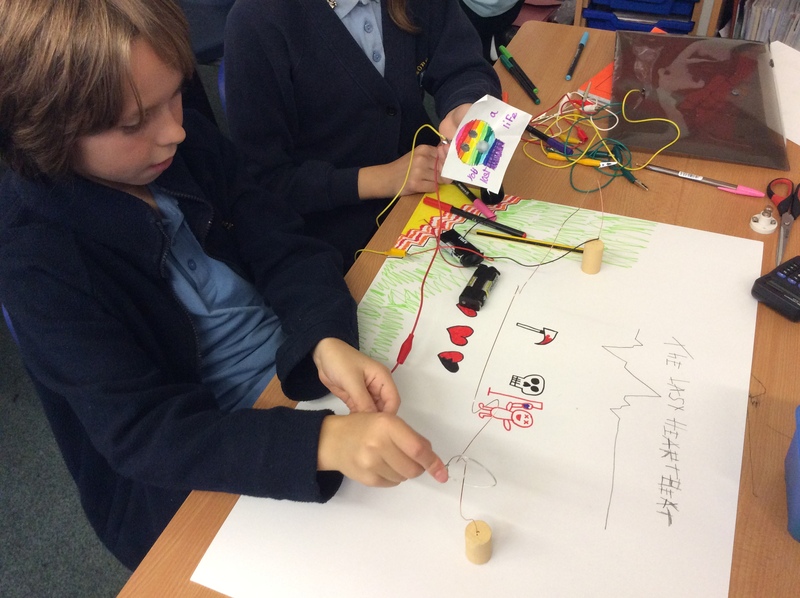 We problem solved when some circuits didn’t work and we then created our designs. 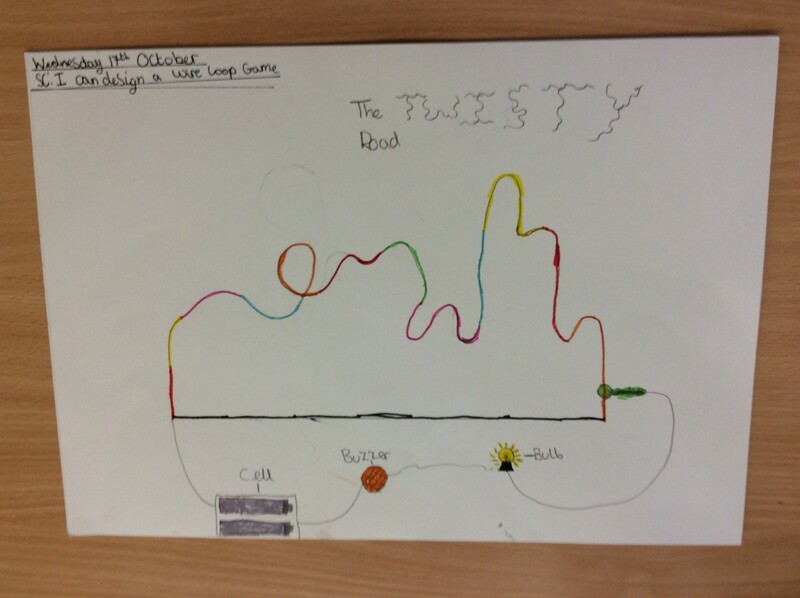 Year 5 came and tested our wire loop games and had lots of fun! 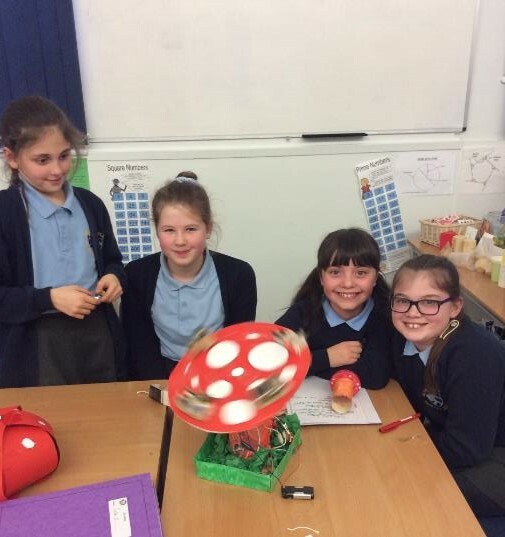 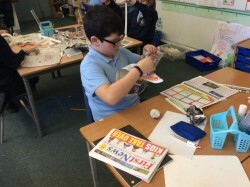 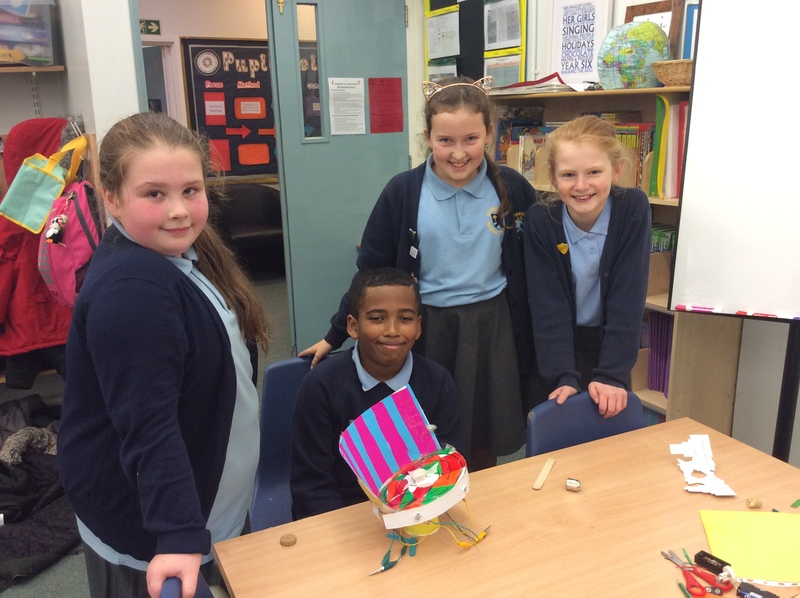 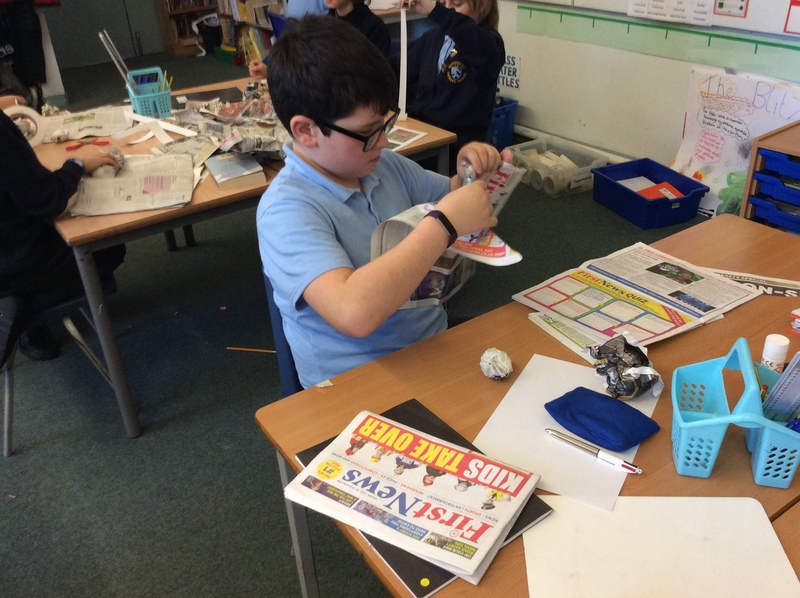 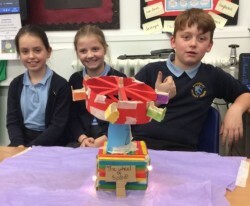 Have a look at our fabulous fairground rides, which we designed, made and evaluated in Science linked with our Electricity unit.